Harare - The music world is mourning. Oliver Mtukudzi, the Zimbabwean music legend has died. The respected 66-year-old music superstar, whose career took him to the international stage, has not been well for the for the past month. Although there is yet to be an official statement, sources said Tuku died this afternoon at the Avenues Clinic in Harare. With 66 albums to his name, the musician has toured several countries and has been endorsed by many companies as their brand ambassador. He has been to all five continents of the world, playing in world capitals and at top festivals. Tuku has contributed immensely to the nurturing of Zimbabwean music talents and holds various prestigious positions, among them the Goodwill Ambassador for United Nations Children’s Fund and the coveted Cavaliere of the Order of Merit bestowed on him by the Italian government. 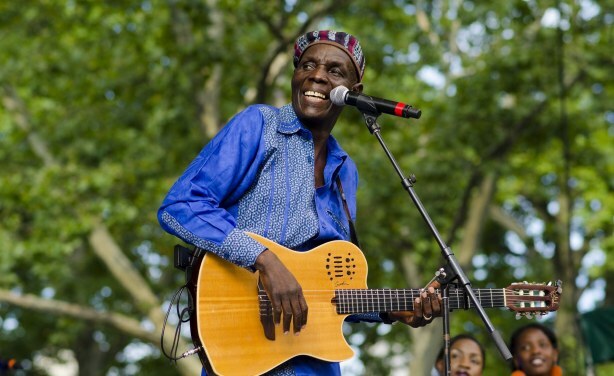 Oliver "Tuku" Mtukudzi (born 22 September 1952 – 23 January 2019) was a Zimbabwean musician, businessman, philanthropist, human rights activist and UNICEF Goodwill Ambassador for Southern Africa Region. Mtukudzi has had a number of tours around the world. He has been on several tours in the UK, US and Canada to perform for large audiences. In 2017 Mtukudzi entertained guests at the wedding of Zimbabwean businessman Wicknell Chivayo. Mtukudzi is the father of five children and has two grandchildren. Two of his children are also musicians. His son Sam Mtukudzi, a successful musician in his own right, died in a car accident in March 2010. Tuku was born in a family of six; one of his sisters and his only brother died.